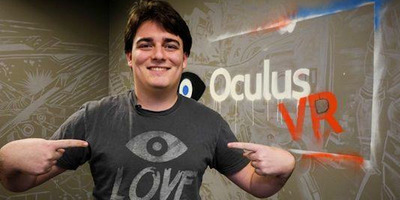 Oculus founder Palmer Luckey founded a defence company called Anduril which hopes to secure the Mexican-Amerian border with a high-tech “virtual” wall. The company has received funding from high-profile investors including Founders Fund and controversial software company Palantir. Palmer Luckey, the controversial Oculus VR founder who departed the company for unknown reasons a couple of years after it was acquired by Facebook, has founded another virtually-inspired startup. His lastest venture, Anduril, named after a magical sword in Lord of the Rings, is creating a high-tech “virtual” border wall for government defence that relies on artificial intelligence. The company has already attracted funding from high profile investors like Founders Fund partner Brian Singerman, who led the company’s $US17.5 million seed round in 2017. Among its other early investors are Revolution Venture’s seed fund, Agile Angel, and Anorak Ventures. In a profile for Wired, reporter Steven Levy notes that Peter Thiel’s Founders Fund led the company’s Series A round in May for $US41 million. The controversial co-founder of software company Palantir, Joe Londsale, is also among Anduril’s investors, Wired reports. Both Founders Fund and Palantir have taken significant interest in Anduril, which makes technology the company says secure the Mexican-American border through a surveillance system that relies on AI and geo-location. Already, Anduril has tested out its technology on a southern San Diego border in partnership with the city’s Customs and Border Protection.